If you need to contact Easy Way Movers feel free for a prompt response. We want to make your moving experience as smooth and easy as possible and would love to help. Easy Way Movers is your one-stop shop for affordable moving throughout the Ottawa area and can answer all you moving questions. Moving is already stressful enough. Don’t go to an unprofessional mover who might not have the knowledge we do and could turn your moving experience into a nightmare. We are specialists in moving your goods safely and quickly whether you’re moving to or from an apartment or your business is relocating. Our attention to our customers’ individualized moving needs is why the people of Ottawa turn to Easy Way Movers to ensure a flawless move. 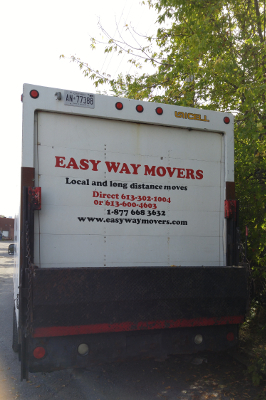 Please feel free to contact Easy Way Movers, Ottawa’s best moving services for local and long distance moves. Give us a call, leave us a message, request a call back, we will try to quickly respond to your request. Callbacks are returned within 2 hours.